First time we saw Kitesurfers in 2005 while travelling in Australia. Back in those days, bungy jumping was extremely popular and still quite new as for regular Polish person, so after trying it we thought, we were very ‘cool’. That was until we went to the Melbourne beach..
On this Australian beach we saw huge kites, up in the sky and surfers hitting the waves. That all looked amazing and we were wondering ‘how the heck does this work’? Since then, we haven’t thought about it much, although it was always there, somewhere at the back of our minds. We (Pawel) can actually do it too! 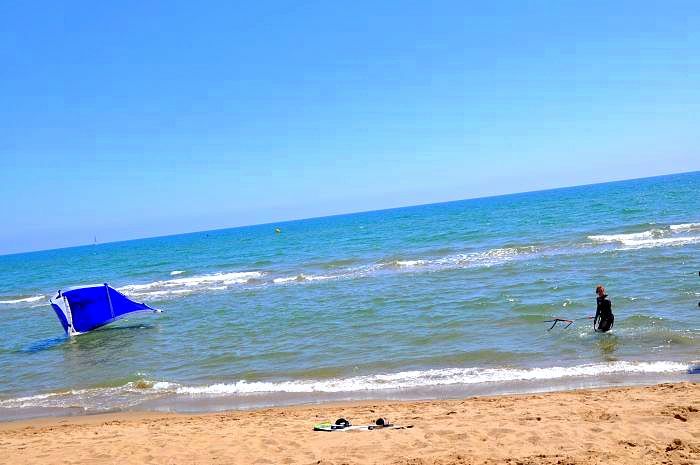 In 2010 we decided to move to Spain and chose Castelldefels as a place to live. It took us one visit to the beach to be 100% that this is it. 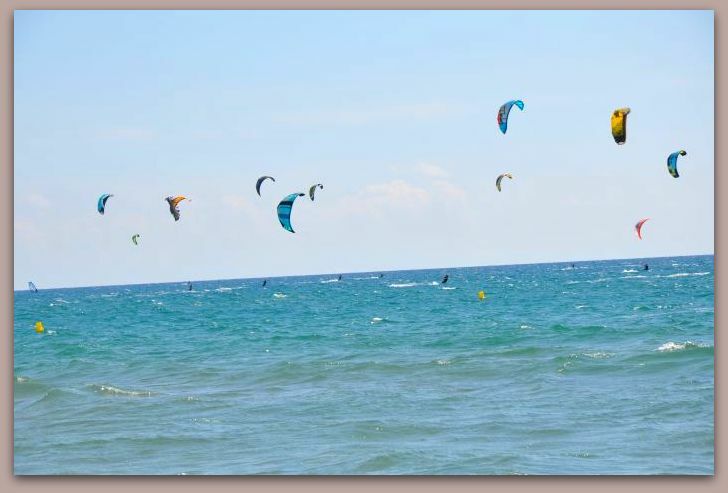 It was April and the kitesurfers were there as well…. After we settled down, the first thing Pawel did was going to the local sport shops and search the web to find the kitesurfing course. Before he finished his classes he was already sure that this is what he is going to be really good at. The wind, the waves, the surfer feeling was exactly what he needed to relax after long day at work. 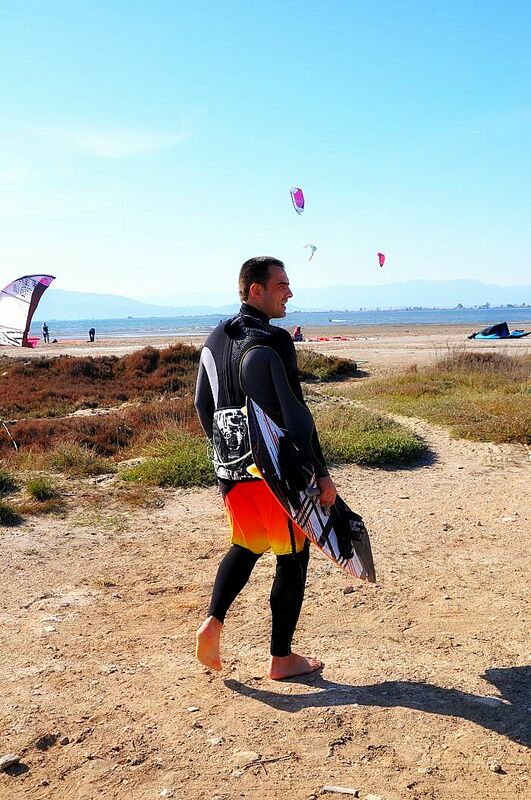 It’s been 3 years now and Pawel is addicted kitesurfer, chasing the wind, checking it on the local website 20 times a day. I am proud of him but tend to stay at home when he is rushing to beach. 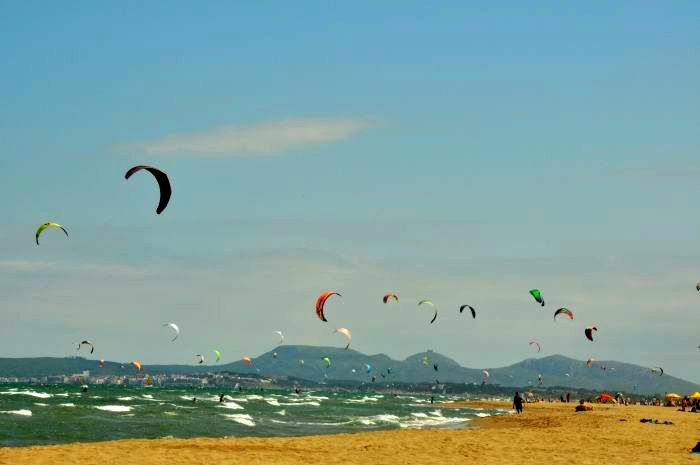 Usually it means, there is a horrible wind – unbearable for non-kitesurfers. Do you need to be strong to be a Kitesurfer? NO. It has nothing to do with the power of your muscle. 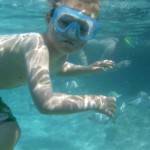 It is more about understanding how the wind works against the kite and coordination of the body. Is it difficult to learn Kitesurfing? I would say YES, and Pawel would say NO. You definitely need a good instructor. If you start bad, you will end up bad. So check out the teacher references before you sign up. Don’t let the price of the course to be your only measure. I would say it is a bit like learning to drive the car: you have to look in the mirrors, the road signs, the pedestrians, other cars, control the wheel, the gear etc. that means coordinating a lot of things at the same time. COULD BE, if you don’t follow the rules and common sense. First thing you are taught at the course is how dangerous kite can possible be for you and for others on the beach. That is why you should never go and do it alone. Always with somebody else that could assist you raise the kite, or help in case of some incident in the water. Quite. The course costs around 250 EUR. The prices of full equipment starts at 600 EUR for a second hand. YES and YES!! To practice and to watch. Always. 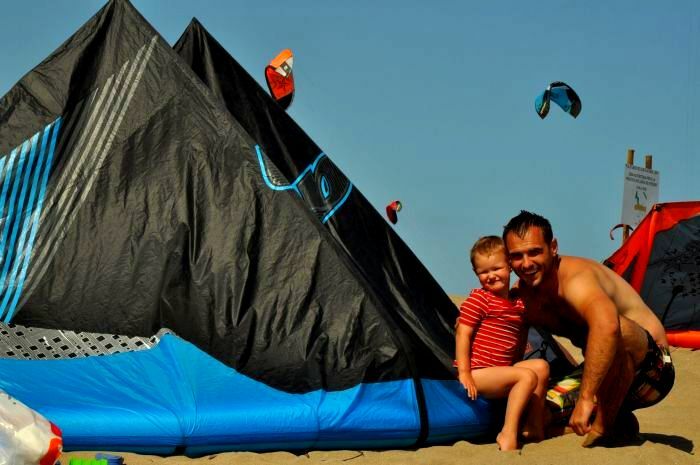 If you have any questions related to Kitesurfing, let us know and we will be happy to assist you with all of them. 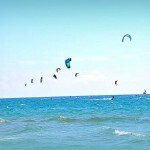 Also if you are interested in trying Kitesurfing yourself, contact us and we will help you organizing it. If you have a question or interesting topic please post your comment below or using social media icons.